This has been an eventful year for Kazakhstan. The country began its duties as a non-permanent member of the United Nations Security Council (UNSC), welcomed 115 states and 22 global organizations to the three-month long EXPO 2017 and hosted the first Islamic summit dedicated to science and technology. From the de-escalation zones in Syria agreed upon in Astana to the opening of the first Low Enriched Uranium Bank (LEU) in Ust-Kamenogorsk, from discussions of green energy challenges to nuclear disarmament issues at the Pugwash conference, Kazakhstan resolutely called for, and pursued, joint efforts to bring stability and tackle obstacles. The recent regional security and cooperation conference in Uzbekistan showed that there is a new wind blowing through all of Central Asia, bringing constructive dialogue on sensitive issues. Kazakhstan became the first Central Asian country to serve on the UNSC in 2017. The national flag-raising ceremony was held in late December 2016 at UNSC Hall. This ceremony marked the start of country’s activities as one of the five new nonpermanent members of the council. The country’s priorities include building a nuclear-weapons-free world; eliminating the threat of global war; promoting peace in Afghanistan, creating a regional zone of peace in Central Asia and launching the Global Antiterrorist Coalition (Network) under the auspices of the UN; fostering peace in Africa; promoting the UN Sustainable Development Goals and the strong connection between peace, security and development; adapting the UN to the needs of the 21st century; and holding regular security council meetings at the level of heads of state and government to strengthen the collective political will to address global challenges. On Jan. 10, Kazakh Foreign Minister Kairat Abdrakhmanov presented Kazakh President Nursultan Nazarbayev’s policy address to UNSC members which outlined those priorities in detail. “Kazakhstan is determined to work with all member states of the council on these priorities, without political expediency, in an open, objective, balanced, responsible and constructive way,” said the address. The appeal, based on the principles of Kazakh President’s earlier manifesto “The World. The 21st Century,” focuses on the need for joint efforts and cooperation to strengthen international peace and security. Kazakhstan’s readiness to host talks to help pave the way for restoring peace in Syria was also announced. Thus, Kazakhstan provided the crucial setting for a May 3 breakthrough in the conflict, when Russia, Turkey and Iran signed a memorandum on creating four “de-escalation zones” on the ground in Syria where no military activity would be allowed, including by “aerial assets,” effectively introducing no-fly areas and promoting humanitarian access to the suffering nation. The Astana Process, which has been going on since January and which has seen seven rounds of meetings that bring together the three guarantor states as well as the Syrian government and armed opposition, supplements the UN-brokered Geneva talks that aim to find a political resolution to the six-year conflict, and brought visible results. On May 4, UN Secretary-General Antonio Guterres said he was “encouraged” by the agreement reached in Astana and said it would continue to support de-escalation as part of the Security Council resolutions on Syria. The International Atomic Energy Agency (IAEA) opened its LEU Bank Storage Facility at the Ulba Metallurgical Plant (UMP) in Ust-Kamenogorsk last summer. The $150 million facility will help ensure a steady supply of low-enriched uranium for countries’ nuclear power programs. “Kazakhstan has for many years been a steadfast partner of the IAEA in working to prevent nuclear proliferation and advancing peaceful uses of nuclear energy. The IAEA LEU Bank is a complex project which has involved the negotiation of a number of agreements and a continuous working relationship between the IAEA and Kazakhstan,” said IAEA Director General Yukiya Amano at the facility’s Aug. 29 opening ceremony. Nuclear energy helps address the twin challenges faced by all countries – of securing sufficient energy to drive economic growth while working to mitigate the effects of climate change. “Kazakhstan is a beneficiary in terms of export and control over nuclear fuel. In this regard, this bank is a sign of high recognition. On the other hand, Kazakhstan is a major producer of nuclear fuel for peaceful energy. This also adds credibility in terms of promoting our national economic interests in the world. 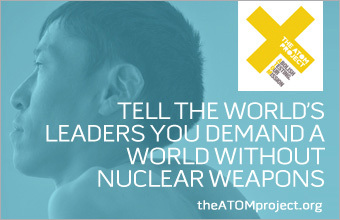 This is [part of] the initiative of President Nursultan Nazarbayev to create a nuclear weapons-free world. Moreover, Kazakhstan has played a major role in the creation of a Central Asian Nuclear Weapon-Free Zone,” said the Kazakhstan Institute of Strategic Studies (KISI) Deputy Director Sanat Kushkumbayev. Scientists and prominent figures also discussed the country’s initiatives to develop peaceful nuclear energy and promote the nonproliferation of nuclear weapons at the 62nd Pugwash Conference in Astana in late August. Pugwash President Jayantha Dhanapala said that the Kazakh people capture Nazarbayev’s principles, a man who has done so much for nuclear disarmament, including the creation, together with four other regional states, of a nuclear-weapon-free zone in Central Asia. “We have seen Kazakhstan converted into a dialogue platform not only for nuclear disarmament, but also for conflicts like the Syrian conflict, with the Astana Process contributing towards the search for a political solution … The inauguration of the LEU Bank is a great tribute to the way in which Kazakhstan has contributed towards the strengthening of the Nuclear Nonproliferation Treaty, in particular the strengthening of two pillars of the peaceful uses of nuclear energy and nonproliferation,” Dhanapala said at the conference. The expo was the biggest and the most anticipated event of the year in Kazakhstan, featuring the most significant renewable energy accomplishments of 115 countries and 22 international organizations. About 193 technologies in the field of renewable energy generation were displayed to demonstrate the world’s intellectual and technological potential. Overall, 4 million people visited the exhibition with an average of over 50,000 visitors per day in its final days. There were 3,000 cultural and thematic events held throughout the 93-day expo. Total combined visitation of pavilions reached 25 million. The expo bumped Kazakhstan’s gross domestic product growth by 4.3 percent. Growth in the output of goods increased 70 percent, while the demand for tourism services grew by 78 percent. As a result, more than 1,400 companies gained revenues of 640 billion tenge (US$1.9 billion). More than 50,000 jobs were created. Bureau International des Expositions (BIE) Secretary General Vicente G. Loscertales made a video address, declaring that the exhibition had united the world on its site and had inspired the international community, international participants, the private sector and civil society to renew their commitment to a sustainable future. “The expo has been a success. This is one of Kazakhstan’s most brilliant achievements since its independence,” said Nazarbayev at the expo’s Sept. 10 closing ceremony, which was attended by 18 heads of state and government, national commissioners, BIE officials, exhibition staff and volunteers. Kazakhstan’s Nur Alem national pavilion, the zone of best practices, two thematic pavilions and the art center reopened their doors Nov. 11. It was decided to preserve the expo heritage and create a tourist zone. Moreover, the former expo grounds are now readying to host the Astana International Financial Center, the Future Energy center for green technologies and investment projects, as well as the International IT-startup hub. Kazakhstan, Turkmenistan and Uzbekistan signed an agreement on a point of junction of state borders as part of the “Central Asia: One Past and a Common Future, Cooperation for Sustainable Development and Mutual Prosperity” conference in Samarkand on November 10. “This is a very important event for the region. This agreement will not only help to strengthen friendly relations, but also completes one of the stages of international-right registration of borders between Kazakhstan, Uzbekistan and Turkmenistan. This event demonstrates that the Central Asian states are able to discuss and resolve the most complicated issues of regional security,” said political analyst Yerlan Karin. Previously, 10 bilateral documents had been signed between Kazakh and Uzbek governmental bodies and state-owned companies as a result of Nazarbayev’s Sept. 16 visit to Uzbekistan. The launch of joint economic and industrial zones will be the next step. Now, the countries aim to bring joint trade turnover to $5 billion, including through work on the B2B basis. Trade turnover between the two countries increased by almost 30 percent in 2017 compated to 2016 and is set to grow further. Trade turnover between Kazakhstan and Turkmenistan amounted to $ 204.5 million dollars in January to October of 2016, which is 40.5 percent more than for the same period in 2015. Now, the governments are working to develop transit and transport potential. “We welcome the new atmosphere in the region conducive to regional cooperation … We know how important regional and neighborly cooperation are for stability… Central Asia has the potential to be a major gateway between Europe and Asia with a young, growing market and significant potential for investment and trade. That potential can be fully used only when the countries of the region work together, improving connectivity between them, thus removing barriers and obstacles for regional trade and addressing challenges together. Establishing this base with common rules increasing regulatory compatibility, standards and rules-based space for trade and investment is important,” said Peter Burian, European Union Special Representative for Central Asia. The first Organisation of Islamic Cooperation (OIC) Summit on Science and Technology was held Sept. 10 in the Kazakh capital. OIC Secretary-General Dr. Yousif Bin Ahmed Al-Othaimeen noted the summit was a “historic event,” as it brought representatives of 57 OIC member states to discuss salient issues pertaining to science and technology. The summit adopted the Astana Declaration affirming the commitment of the member states to alleviate poverty, increase the budget for education and join efforts to accomplish the goals envisioned in the OIC 2025 Plan of Action and the UN Sustainable Development Goals.